Qpath manages ultrasound training in medical schools. If ultrasound training is part of your Medical School curricula, Qpath is the ideal solution to manage your student ultrasound exams. Qpath provides a simple method to store images, document exam results, assess & grade exams, and push feedback to your students. Upload your ultrasound teaching material into the Qpath library and provide a central portal for your ultrasound program. Qpath can be installed on a local server at your Medical School, or eliminate the need for a local server, storage and backup by using Qpath Cloud. The cloud version of Qpath provides for an economical and flexible solution for your Medical School ultrasound program. The cost per student per year is extremely low, with no exam limit each year. Exams are never deleted from the cloud server while under contract. Eliminate the cost and headaches associated with installing and maintaining a server, exam storage and backup. 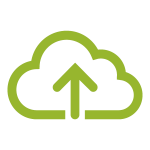 Using Qpath Cloud, your data will reside in a secure Microsoft Azure data center. Data is automatically duplicated three times on difference servers to ensure “high availability” of your data. Using Qpath Cloud, the need for local IT support is substantially reduced. Qpath is being used by the University of South Carolina School of Medicine to help manage ultrasound exams and documentation for around 400 medical students. “Q-path has proven extremely useful in our efforts to incorporate ultrasound as an enhancement into students’ learning experience. We use it to document completion of ultrasound lab assignments and provide feedback on quality and accuracy of student images”, said Duncan Howe, PhD.